What is the 4D Nucleome Program? Watch this video to learn how 4DN aims to improve public health! The Common Fund’s 4D Nucleome program aims to understand the principles behind the three-dimensional organization of the nucleus in space and time (the 4th dimension), the role nuclear organization plays in gene expression and cellular function, and how changes in the nuclear organization affect normal development as well as various diseases. The 4D Nucleome program issued its awards in September of 2015. During the first two years, 4DN awardees organized themselves into a 4DN Network poised to achieve the overall goals of the program. This included the establishment of data standards, a set of common cell lines, a publication policy, a data portal, community outreach, and joint analysis projects to benchmark various imaging and multi-omics 4DN tools and approaches. The organization of the 4DN program is described in a 2017 marker paper in Nature. The program also made ten Transformative Collaborative Project Awards (TCPAs) in 2017, eight of which were funded by NIH. Program deliverables currently available through the public 4DN Portal include nearly 2000 datasets from hundreds of experiments, 52 software packages and 23 protocols. 4DN officially joined the International Human Epigenome Consortium (IHEC) in October of 2017. The nucleus of a cell contains DNA, the genetic “blueprint” that encodes all of the genes a living organism uses to produce proteins needed to carry out life-sustaining cellular functions. 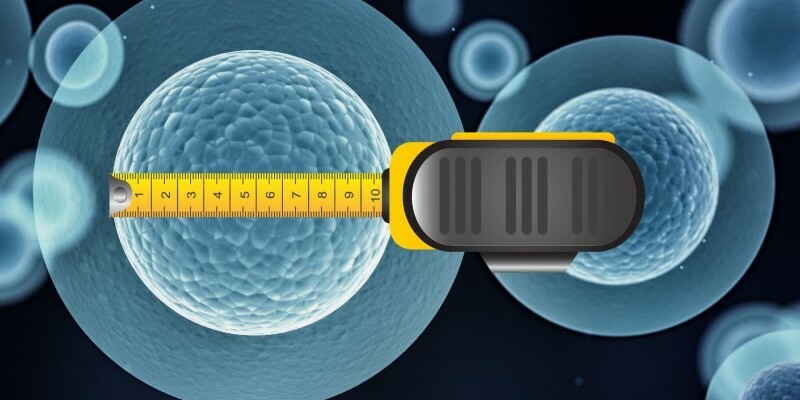 It is estimated that each human cell contains approximately 2 meters (6.5 feet) of DNA, squeezed inside the cell’s microscopic nucleus. We now know that DNA is not randomly arranged within the nucleus; instead, the organization of the nucleus is tightly controlled. 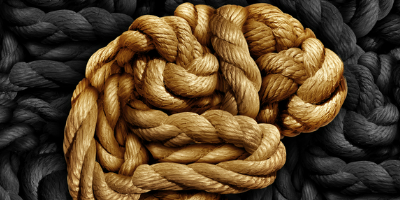 However, the functional consequences of this organization are not well understood. What are the principles that govern the three-dimensional architecture of the nucleus, and how does this architecture contribute to gene expression regulation? How does nuclear architecture change over time (the 4th dimension) in the course of normal development? Do dysfunctional alterations in nuclear organization lead to disease, and/or could they be used to diagnose diseases? The Common Fund’s 4D Nucleome program aims to understand the principles underlying nuclear organization in space and time, the role nuclear organization plays in gene expression and cellular function, and how changes in nuclear organization affect normal development as well as various diseases. This program is developing technologies, resources and data to enable the study of the 4D Nucleome, including novel tools to explore the dynamic nuclear architecture and its role in gene expression programs, models to examine the relationship between nuclear organization and function in both normal development and disease, and reference maps of nuclear architecture in a variety of cells and tissues. Nuclear Organization and Function Interdisciplinary Consortium (NOFIC): NOFIC is composed of multidisciplinary teams that are developing and validating novel approaches and genome-wide mapping technologies that will lead to a deeper understanding of nuclear organization in time and space, and the role of this organization in regulating gene expression programs. 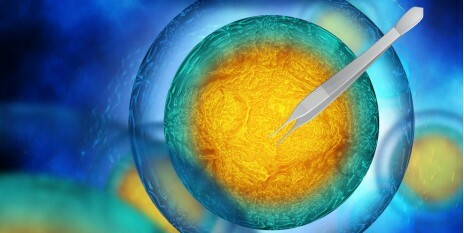 Nucleomics Tools: This initiative is stimulating the development and validation of chemical and biochemical technologies for measuring three dimensional interactions between specific places in the genome (genomic loci), or between genomic loci and regulators of genome organization and function, in mammalian cells. Study of Nuclear Bodies and Compartments: Nuclear bodies (structural and functional subunits within the nucleus) and nuclear compartments (specific subregions within the nucleus) set up distinct local environments that facilitate many important nuclear processes. This initiative supports the development of tools and strategies to study the three dimensional architecture of the nucleus in relationship to the spatial arrangement of nuclear bodies and molecular machinery regulating gene expression, the structure and function of poorly characterized nuclear structures and compartments, and the role of specialized proteins and RNAs in nuclear organization and function. Imaging Tools: This initiative stimulates the development of higher throughput, higher resolution and higher content imaging approaches that can measure changes in nuclear organization in live single cells. Organizational Hub (4DN-OH) and Opportunity Pool: The 4DN-OH developed a community website to facilitate sharing of data, reagents, standards, and protocols between 4D Nucleome investigators, and with the larger scientific community. 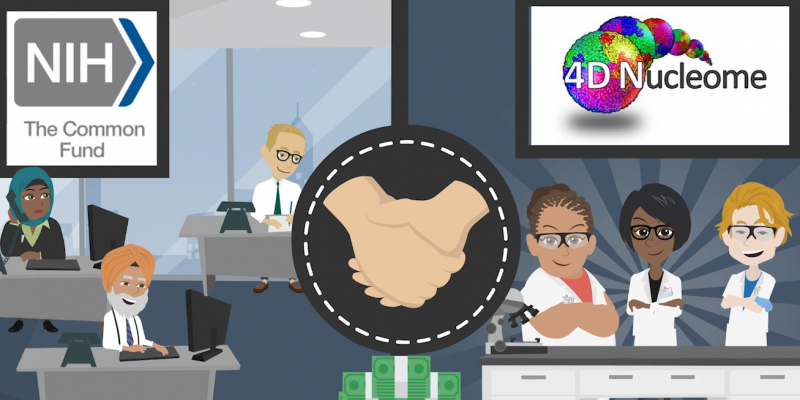 4DN-OH helps foster collaborations between 4D Nucleome investigators, organize yearly scientific meetings, and oversee administrative aspects of the program. 4DN-OH also administers the Opportunity Pool, a fund to support new projects and initiatives that address identified needs arising throughout the lifetime of the program. Data Coordination and Integration Center (4DN-DCIC): 4DN-DCIC tracks, stores, and displays all data generated by 4D Nucleome investigators. It provides a Data Analysis Center to assist with integrated analyses, develops metrics and standards to be adopted by the community at large, and provides visualization tools to facilitate access and understanding of complex datasets. Visit the 4D Nucleome Portal to find information about the data, protocols, reagents, resources, and methods that are currently being developed by 4DN Network investigators. Learn more about becoming an associate member. 4DN investigator Dr. Clifford Brangwynne was named a 2018 MacArthur award winner in recognition of his research illuminating novel mechanisms of cellular compartmentalization through phase transitions. 4DN Program-funded researcher Dr. Jennifer Phillips-Cremins and team develop 3DNetMod- a sensitive and accurate computational method to detect chromatin domains. Check out her profile in Nature Methods (institutional access may be required to view content). Ten researchers received the Transformative Collaborative Project Award (TCPA) to build trans- or interdisciplinary teams that will pursue novel research or develop new tools and technologies to support the 4DN mission. See the full list of the 2017 TCPA awardees. Tools developed by 4DN Program researchers to chart the complex conformations of chromosomes were recently featured in Nature. 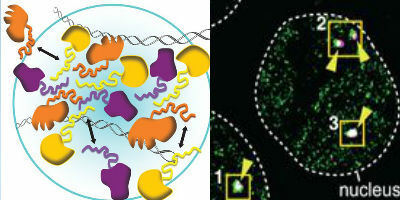 The 4D Nucleome Program has joined the International Human Epigenome Consortium. Learn more about this collaboration, which aims to advance the production and distribution of human reference genomic and epigenomic maps and data sets for the scientific community. 4DN Program researchers were recently featured in Nature to discuss loop extrusion and how massive genomes stay organized.